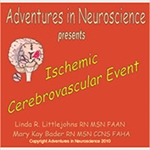 The signs and symptoms that accompany an ischemic event are essential to stroke patient care. Building on the assessment, the nurse must be familiar with the management options for this critical patient, criteria for selection, and novel evidence based approaches to afford the patient and family the optimal outcome. This is a great study tool to help you prepare for the Stroke Certified Registered Nurse (SCRN) exam. To offer the best possible care for a stroke patient, the nurse needs a solid knowledge of the distribution of the cerebral vessels. 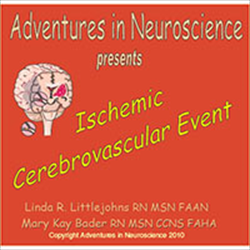 The signs and symptoms that accompany an ischemic event are essential to stroke patient care. Building on the assessment, the nurse must be familiar with the management options for this critical patient, criteria for selection, and novel evidence based approaches to afford the patient and family the optimal outcome.